I always say time saved is money earned. So to help you (and me) earn a little more money, I've created a shareable document with my favorite and commonly used After Effects Expressions. If there are anymore expressions you want me to add, post them in the comments and let me know! I needed a basic file cabinet for a project I was working on and I couldn't find a decent free one for Cinema 4D. So I made one. This is only for R12 and R13. It even has some little sliders for controlling the drawers! It's not photo-real perfect but it worked for what I needed and hopefully it works for you! This model is licensed under Creative Commons Attribution. This allows the user to "distribute, remix, tweak, and build upon your work, even commercially, as long as they credit you(me) for the original creation". You know you can use Cinema 4D's cloth to make cloth (of course) but did you know that with experimentation you can simulate metal crumpling and deforming on impact? Check it out! This project file shows off some of my experimentation, you can download it below. It was made with R13 but the techniques done can be replicated in older versions of C4D as well. All you need to do is copy the settings below. And of course: experiment, experiment, experiment! I am pleased to announce my first product for Cinema 4D: Handmade Art Shaders! This is a collection of “handmade” Cinema 4D shaders were created by myself and another artist. We used various art mediums (charcoal, pencil, dry pastel, etc.) on art supply paper, then brought each handmade shader into Cinema 4D. You can use Cinema 4D’s Sketch and Toon Art Shader feature to take our shaders and stylize your objects however you want. Cinema 4D uses our handmade shaders to apply tones to your objects to mimic three dimensional shading. Our Handmade Art Shader Master Collection includes the following materials: charcoal, pencil, marker, dry pastel, acrylic paint and oil paint. You can purchase the Master Collection that includes 68 unique shaders with 18 different variations of color for a total of more than 1200 shaders. We also offer the each shader for sale separately, if you’d prefer to work with a single medium (charcoal, pencil, marker, etc.). Check out our FREE “Art Shader Preview Pack”! We’ve bundled one of each shader so you can demo our shaders before buying them. You can find the Preview Pack at the bottom of the product page. Note: These shaders require the Sketch and Toon module. If you are unsure if you have Sketch and Toon, you can try out the Preview Pack and see if they work. I recently completed a new project that I wanted to share with you. 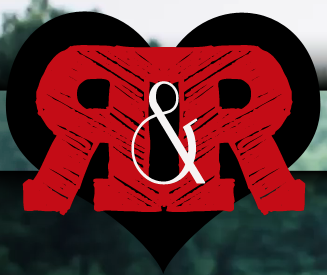 This is a short logo build for Rock and Roll Hearts , a company that does the best wedding videos ever. 'Wedding videos, pshaw!' you say, but oh would you be wrong. This are full blown rock and roll music videos tailored to the couple. They are well produced and sure to be a memory for anyone. But I digress. On to the video! Look for a tutorial coming where I show how I sped up my animation workflow with a little Xpresso.